We all love a good bit of drama. Without it, there would be no place in this world for the Kardashians, or basically any of the shows on E! Be it an argument with your partner, a Facebook feud with an anonymous user on the other side of the world or a bust-up with a cold caller trying to sell you budget life insurance, we all thrive off of the intense feeling of satisfaction that something trivial can bring. 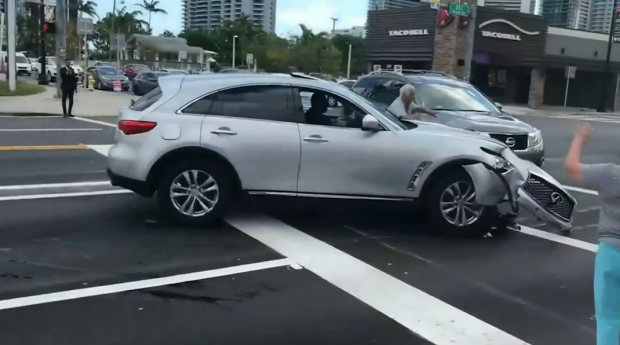 The bizarre video begins moments after a silver Hyundai SUV ran a red light resulting in a high impact crash. Rather than stop at the scene and ensure that nobody was harmed by his actions, the driver of the silver vehicle tries to escape. Despite the severe damage that his vehicle has sustained from the crash, the careless driver begins to reverse as appalled onlookers try and block his exit. 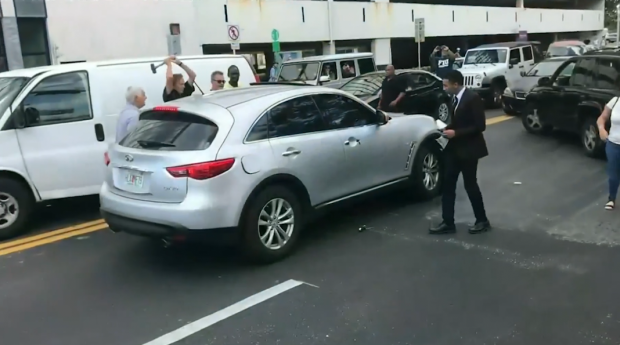 Ignoring the angry mob that had formed around him, the driver cranks the car into reverse and tries to make a break for it. Due to the chaos around him, there are few exits in which the driver can take, but he does eventually find one. However, as he tries to squeeze through the tiny gap to freedom, he is intercepted by a man wielding a sledgehammer. Taking no prisoners, the man bashes the glass on his car to try to and deter him from speeding off. According to reports, the hit-and-run driver was stopped and reprimanded by the police shortly after his getaway. 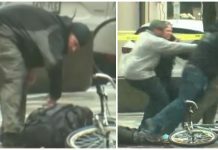 Despite the heroic actions of the vigilante group, police are advising that no citizens try and attempt anything similar in the future – and it’s easy to see why!